The Fundraising Field Guide was written to help early-stage tech startup founders decipher and navigate the fundraising process. It provides an overview of the soft and not-so-soft challenges you will need to prepare for as part of your fundraising journey, including things like reaching out to investors, dealing with rejections constructively, preparing materials and financials, understanding valuations and deal terms, and how to manage the legal process. I hope you enjoy the book and get lots of use from it. I’ve adopted a ‘free-to-download-and-donate-if-you-like-it’ model because hey, if you’re fundraising, you’re bootstrapped right? If you do enjoy it, however, please consider donating to one of the charities in the “Get & Donate” section of this site to support organizations that are helping people around the world with their social entrepreneurship challenges. In the ‘Seedcamp Podcast Series’ we talk with key people in the tech startup industry to hear their stories and gleam key advice and learnings from their experiences. We had the chance to sit down with Fred and Todd of Foley & Lardner to discuss points startups should consider as part of ‘flipping’ to the USA or starting off as a foreign company vs. one based in the USA. Fred Adam is a partner and business lawyer with Foley & Lardner LLP. He advises public and private multi-nationals, investment funds, and fund portfolio companies regarding international outbound and inbound tax planning, fund formation structuring, domestic tax matters of all types and international tax matters relating especially to global business model planning and global tax efficiency projects, transfer pricing, mergers and acquisitions, financial services (PE, Venture, Hedge, etc. ), and pre- and post-transaction integration structuring. E. Thom (Todd) Rumberger Jr. is a partner and corporate lawyer with Foley & Lardner LLP where he focuses his practice on private equity, mergers and acquisitions and venture capital, and Internet, software, telecommunications, digital media and financial services companies through all stages of their growth. He is vice chair of the firm’s Private Equity & Venture Capital Practice, co-chair of the Technology Industry Team and is a member of the Transactional & Securities Practice. SeedCamp’s hackathon, Seedhack, took place at Google Campus, London, on the 8th to 10th of November. It brought together some of the brightest talent in the startup community from 15 countries with one of the best accelerator programs in the world and mashed it up with awesome content providers like Twitter, Facebook, BSkyB, BBC, Getty, HarperCollins, EyeEm, Nokia Music and Imagga. There were a total of 12 teams working on interesting and exciting projects. As part of this hackathon, Ali and Will helped me aggregate resources to help founders better understand the process of raising equity and the impact it can have to their founder stakes. We aggregated resources to help entrepreneurs to understand the numbers and implications of raising money and giving out equity. Valuing a company and calculation its impact on your equity is a very complex and confusing for entrepreneurs as well as being far from an exact science, this is the pain point that we wanted to address. “Fundraising is one of the most difficult parts of the startup world, as first time founders this is an even more daunting process. Experience of raising a round and understanding the numbers and implications of that round and the related equity issued to an investor as well as employees in the form of an option pool is vital, but sadly is only fully understood by going through the process for real. Our intention was to give founders the knowledge required by being able to go through the process in a simple and easy way, thus giving the founder the confidence when it happens for real. Ali and I are first time founders currently actively looking for investment. We know the total value we need in terms of money we want to raise as well the percentage of equity we are comfortable willing to give up to the investor. What we didn’t know and learned through the process is the implications in future rounds as a result of that initial funding round. Having an option pool for employees, advisors, board members etc. is something that complicates the issue and is often a requirement in the terms an investor is offering. This complicates the issue for the founder, so being aware of the impact of their shareholding as a result is vital for a founder as it is them that gets diluted in the first round but also any subsequent round, but it is often overlooked. “A PRE-MONEY VALUATION is the valuation of a company or asset BEFORE investment or financing. If an investment adds cash to a company, the company will have different valuations before and after the investment. The pre-money valuation refers to the company’s valuation before the investment. External investors, such as venture capitalists and angel investors will use a pre-money valuation to determine how much equity to demand in return for their cash injection to an entrepreneur and his or her startup company. This is calculated on a fully diluted basis. A POST-MONEY VALUATION is the value of a company AFTER an investment has been made. This value is equal to the sum of the pre-money valuation and the amount of new equity. The Post-money valuation is the sum of the pre-money valuation and the money raised in a given round. At the close of a round of financing, this is what your company is worth (well, at least on paper). If a company is worth $1 million (pre-money) and an investor makes an investment of $250,000, the new, post-money valuation of the company will be $1.25 million. The investor will now own 20% of the company. The only reason it’s worth spending time on this term at all is that it “sets the bar” for your future activities. If your post-money after your first round of financing is $4 million, you know that to achieve success, in the eyes of your investors, any future valuations will have to be well-in-excess of that amount. Option pools can also be formed by Restricted Stock Units, but whichever one you use, they are generally still called ‘Option Pools’. The OPTION POOL is the percentage of your company that you are setting aside for future employees, advisors, consultants, and the like. Employees who get into the startup early will usually receive a greater percentage of the option pool than employees who arrive later. Special thanks to Dale Huxford from Orrick, Herrington & Sutcliffe LLP for edits and additional legal review. UPDATED (Nov 11, 2013) – Notes added on: Conversion Triggers section & attached Cap Table in folder updated to v2 to fix some bugs. The “Convertible Note” gets lots of attention in the blog-o-sphere as an alternative to traditional equity financings; some of this attention is good and some of it bad. Some investors refuse to use them, while others love them as a quick way of getting a company the capital it needs. Convertible notes are sometimes viewed as a “best of both worlds” compromise from both a company perspective as well as from an investor’s perspective: on the one hand, a note is a loan, so the investor enjoys more downside protection than would an equity holder in the event the company is forced to wind up or dissolve for whatever reason; on the other hand, if the company eventually raises money by selling shares to later investors in a typical early stage financing round, then rather than pay back the outstanding amount in cash, the principal and interest are “converted” into shares of stock in the company (usually at some sort of discount off the price offered to new investors – I’ll discuss that below). In other words, the investor enjoys the downside protection typically associated with debt lenders, but is also positioned to enjoy the upside opportunity typically enjoyed by equity holders. 1) Total Amount Raised by the Note – This amount does have a natural limit. Think about it this way… you have an amount ‘outstanding on your cap table’, that will be part of an upcoming round. If a new round in the future isn’t particularly big, having too much money outstanding can create a problem with your convertible note holders taking up too large a portion of that round. Example: a 300K convertible which converts as part of a total 600K seed round would loosely mean that the convertible note holders would have 50% of the round. If the round was supposed to be for 20% of your equity, that means your new investor will only get 10%, an amount that may not excite him that much… and also you only get 50% new money in the door. To limit the extreme cases of this being done, investors usually create a ‘qualified round’ definition within the Note’s terms for conversion (see bullet #5 below) which reduces the likelihood of this amount being disproportionally larger than a new investors amount as part of a new round. 2) Discount Percentage – Simply put, if shares are worth $1 a 20% discount percentage would mean that an investor would get the shares for 80 cents. For cases where the next round’s valuation is below your convertible note holder’s cap as set in point #3 below, a discount factor will yield the convertible note holder a marginally cheaper price for having taken a risk on you. Typically this discount percentage is likely to be between around 15-25%. Another Example: a round closes at 3M. Your cap is at 5m. Your convertible note holders have a 20% discount, so they get to convert into the next round at a valuation of 2.4M. 3) Limit On Company Valuation At Conversion (the so-called “Valuation Cap”) – In order to calculate the number of shares into which the outstanding balance on a convertible note will convert, you must know the price at which the next round’s equity securities are being sold. Price per share, as you may or may not know, is calculated by taking the company’s pre-money valuation (negotiated at the time of the equity financing between the company and the investors) and dividing that number by the total number of outstanding shares in the company (the company’s “fully diluted capital”). Recall, however, that convertible notes are typically entered into in anticipation of an equity financing round – thus, at the time a convertible note is issued, no one knows what the negotiated pre-money valuation will be if/when the company undertakes an equity financing. Consequently, no one knows exactly what the price per share will be at the time the notes are issued. This creates uncertainty and is a cause for some investor anxiety, particularly for those investors concerned that that the number of shares into which their note may convert may be insignificant relative to the other shareholders, particularly in the event the pre-money valuation at the time of conversion is especially high. The valuation ‘cap’ is intended to ease investor concerns by placing a maximum pre-money valuation on the company at the time of conversion. with the use of a cap, an investor can effectively set the minimum amount of equity an investor is willing to own as part of having participated in your convertible note round. For example, if you have a 200K note on a valuation 5m cap, then the worst case scenario for that convertible note holder, would be 4% equity after the new round is over. A typical valuation cap for very early-stage companies will be around $4m – $6m, with most companies at the Series A level settling on $10m valuation caps or more. For more statistics on caps and other components of a convertible note, I have included a link at the bottom of this post to an article with additional stats. One thing to note, is that in the USA, there is a rising prevalence of uncapped notes. Clearly this is a founder friendly outcome, and if possible, always nice to get. The flip-side, is that for the investor, the may feel a bit ‘unprotected’ in the case of where the company does exceedingly well and thus their amount converts to a much smaller percentage than originally hoped. 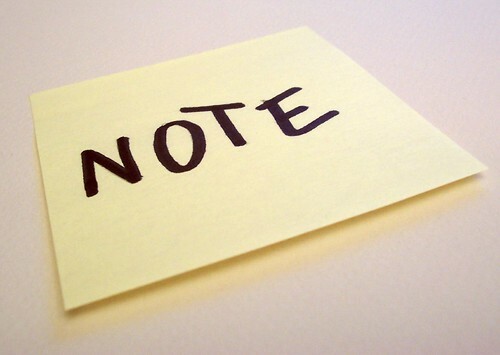 4) The Interest Rate on a Note – A convertible note is a form of debt, or loan. As such, it usually accumulates interest, usually between 4-8% between the point when you sign it and when it converts. This amount is usually converted as part of overall amount at the next round. For example, if you have an annual interest rate of 8% and you have a Loan Note of 100, then you’d convert 108 after a year. Note: In the US, it’s highly advisable to include an interest rate, even if it’s simply a nominal amount equal to the applicable federal rate (most recently at less than 1%), b/c if not, then any amount that could have been earned via interest is taxed to the company as gain. So it’s not really an option to exclude it in the USA. In the UK, you don’t necessarily need to include it should you wish to omit it. 5) Conversion Triggers – The point of a convertible note is for it to convert at some point in the future, not for it to stay outstanding indefinitely. As such, it will likely have a series of triggers for conversion. One I mentioned earlier is the next ‘qualified round’. Basically this means that the round is big enough to accommodate the amount in the note (without washing out new investors) and also is the type of round that is typical for the next step in the company’s growth and will give the note holders the types of rights they’d expect for their shares once converted from loan to equity. Another conversion trigger is an expiration maturity date, whereby the note holder typically can either ask for their money back (although this rarely happens) or basically seek to convert the outstanding amount at that point. There are more types of conversion triggers that note-makers can add to a note, but these are the basic ones. Update: upon a change of control event in the future and before the convertible is converted, investors can sometimes ask for a multiple of their loan back as payment in lieu of converting to ordinary shares prior to the completion of the change of control event. You can see some examples of this in the wording of the attached examples later in this post. Again, these are the headline terms of a convertible note, and not representative of all the terms. However, for early discussions with potential investors, you’ll rarely have to talk about anything more than 1-4. Beyond that, you usually start having to involve lawyers (or experienced deal drafters) to help you finalise the document. Now that we’ve reviewed the basics of a Convertible Note, take a look at a recent report that has statistics of what common terms have been given to Valley based companies. If you are not in the Valley, you will likely have a different set of averages, so be mindful of that. Now, let’s look at the headline pros and cons of using a convertible note. If a convertible note is made to be too large, it can negatively impact your next round because it’ll convert to a disproportionally large portion of your next round, effectively crowding-out your next round’s potential investors from having the equity stake they may desire. If a convertible note’s cap is made too low, in order to accommodate a larger round later, the Founders may need to take the additional dilution that would happen if they exceeded the convertible’s cap. Because a convertible note can be made to be quite versatile, sometimes investors can add clauses in there that have greater implications down the road, such as being able to take up more of a future round than the actual amount they’ve put in, for example. Doesn’t give your investors (in the UK) SEIS tax relief, thus making it less attractive than an equity round. There may be some workarounds, but generally SEIS and Convertible notes are not seen as compatible. Notes give convertible note holders the investor rights of future investors (say in a future Series A Preferred Shares), which may include more rights than those they would take for the amount of money they put in had they simply done an equity deal on Ordinary Shares with you today. If the convertible note automatically converts at the next equity raise (i.e. the investor has no choice), investors may wind up being forced to convert into securities shares despite not being happy with the terms of the equity financing. The note holders may unfortunately have less influence in negotiating the terms of the equity financing, which partially explains why some investors are reluctant to invest with convertible notes. Finally, while convertible notes allow the company to defer the valuation conversation until a later time (see discussion under “Pros” above), any inclusion of a conversion cap will raise a similar conversation, which defeats some of the purpose for why companies and investors alike originally favoured the convertible note as a quick-and-easy financing solution to begin with. Now let’s explore a few more core concepts in detail. Seniority – A convertible note is a form of debt or loan. Although its not too common to hear about investors asking for their money back, they in fact, do have that right… additionally, one of the privileges that having the Note act like debt is that it acts senior to equity in the case of a liquidation. What this means in practice, is that Loan holders will get their money back first. Subscription Rights – Some investors like to have more equity than their invested amount would likely yield them upon conversion. So one thing to look out for is how much they want to take up of the next round as part of having been in the convertible note. Example: An investor gives you 50K, which converts at your next round of 1m on 2m Pre at 1.6% -> next to nothing for the convertible investor. However, that investor had a Subscription Right for up to 30% of the new round, so that allows him to participate on the 1m round with up to 300K thus affording him a larger ‘seat at the table’ in excess of the 1.6% he would just have without this right. To conclude and to provide you with some practical examples, in the following Google Drive Folder I have added an excel sheet with an example cap table as well as UK & USA termsheet templates from Orrick* that are uberly simple, for review purposes only (they may not be fit for what you need, but give you an idea). A comment on the example cap table – it isn’t designed to be ‘fully realistic’ per se, as in, your cap table will likely not look like this in terms of founders and shareholders and number of rounds before a convertible comes in, but it serves well for you to play with the variables that make up a convertible note so you can see how they affect your fully-diluted stake after a round. I hope this helps you decide what the best options may be for you. As usual, please give me feedback on all these materials as with software, there are likely bugs somewhere!! Thanks in advance! *Regarding the Convertible Note Documents, a disclaimer from Orrick: The linked documents have been prepared for informational purposes, and are not intended to (a) constitute legal advice (b) create an attorney-client relationship, or (c) be advertising or a solicitation of any type. Each situation is highly fact specific and requires a knowledge of both state and federal laws, and anyone electing to use some or all of the forms should, prior to doing so, seek legal advice from a licensed attorney in the relevant jurisdictions with respect to their specific circumstances. Orrick expressly disclaims any and all liability with respect to actions or omissions based on the forms linked to or referenced in this post, and assumes no responsibility for any consequences of use or misuse of the documents. Has convertible debt won? And if it has, is that a good thing? In Which Country should I Incorporate My Company? An important decision that companies often ask when starting a company outside of the USA is ‘where should I incorporate?’. The reason why this question comes up is often because there are a series of benefits pulling founders in different directions and many times founders can receive conflicted advice from well-intending advisors. Some of the issues that founders may be balancing as part of a decision on where to incorporate include things like tax implications (tax breaks or penalties), local grants, and paperwork. This is particularly the case when they are also thinking that the USA might be where they will end up in the future. Therefore, the purpose of this post is to identify WHAT ISSUES to think about when making the decision so that you can feel more confident about it and it is NOT about recommending a specific jurisdiction to incorporate. Let’s start by stating that, for the most part, incorporation decisions aren’t necessarily permanent. Yes, there are cases where you make things increasingly hard for you to ‘flip’ your company (flip = taking your company from one legal jurisdiction to another), but for the most part, you can almost always find a way to move your company later if it benefits you to do so. Generally, the cost of doing this will be proportional to the complexity and legal jujitsu your lawyers will have to do in order to make this happen (more on this later). So while not permanent, worth considering all options before taking the easiest or most obvious choice. 1) Tax implications & Tax treaties – One of the key things that can really impact your personal returns and that of your investors, now and in the future, is whether there will be a tax impact to you (and your employees and co-founders). Consider things such as tax relief on returns as a founder or if you flip to a different geography in the future. Consider income tax liabilities as well as capital gains liabilities (note: links are to UK site, but there for definitions, which are universal). Additionally, for potential future investors, consider whether your local jurisdiction has a negative tax impact further down the line for them. These questions can sometimes be answered by tax specialists within your lawyer’s firm (particularly if your law firm has offices abroad) or your accountants. 2) Investor implications – As mentioned above, one reason why the jurisdiction of choice matters is because investors are optimising around what they know their tax implications are, but additionally, there are other matters in the final legal docs which they may prefer dealing with in their local jurisdiction rather than in new ones they are less familiar with. Additionally, they may have a preference where you incorporate due to tax relief they may receive as part of investing in your company. Company governance may also be affected by where you are incorporated. Certain company governance structures are enforced on your company depending on where you incorporate and investors may have an opinion on that one way or another. 3) Paperwork implications – Paperwork is clearly one of the bigger headaches of making this decision. This includes the interval in which you need to report as well as other requirements such as company filings required by Company’s Law of the country where you incorporate. 4) Residency implications – Some geographies may have a residency requirement for the founders, but others not. Keep this in mind, in particular if you don’t have the appropriate immigration status or it is hard to get it. 6) Governance implications – Corporate Governance requirements tends to vary from country to country. Since you’ll have to abide some of these requirements, you might as well familiarize yourself with these variables before making your decision. 7) M&A implications – When your company does eventually get sold or merged or floated, it’ll have to go through a process. In some countries this process is straight forward and simple and easy for potential acquirers to understand and do quickly. In other countries, it may be less known and thus may cause delays or complications. 8) Free Information Availability – Although you will likely have a Lawyer helping you through many of these topics, it’s always great when you can learn on your own from others’ experiences. Some jurisdictions have more founders sharing on forums and the like, how they overcame their specific problems. This can be a very valuable way of reducing your cost to learn and thus reducing your legal costs as you know which issues to flag to your lawyers. Having reviewed all of these issues with your current and/or future shareholders, you should at least have a better starting point to make a well thought-out decision.To further elaborate on these topics, and to be more specific about one particularly common case for UK founders, let’s look at UK vs US incorporation. While this decision is clearly not a black and white one, hopefully, the 8 factors to consider before incorporating highlighted above + the UK vs US example help you better understand how to approach making this decision for your specific case and which questions to ask your lawyers. It may very well be that there are some similarities between the above two countries and your own, but the best way to finalise this decision is by having a conversation with your lawyers about what is best for you, your investors and the jurisdictions in question. If you have any additional points for founders to consider as they go through this process, feel free to post them in the comments below. Additionally, if you have any feedback on the points above or have a good story to tell about your experience through this process, feel free to post as well.